"Apply grade 4 Reading standards to informational texts (e.g., “Explain how an author uses reasons and evidence to support particular points in a text”)." 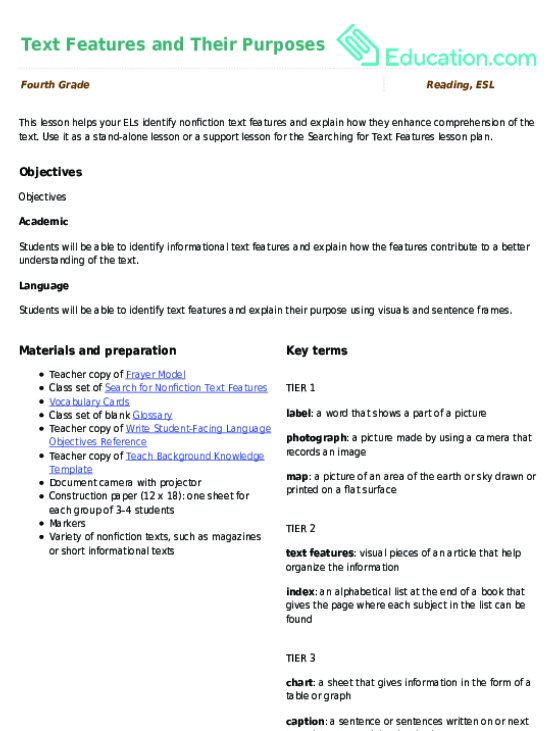 Use this glossary with the EL Support Lesson: Text Features and Their Purposes. 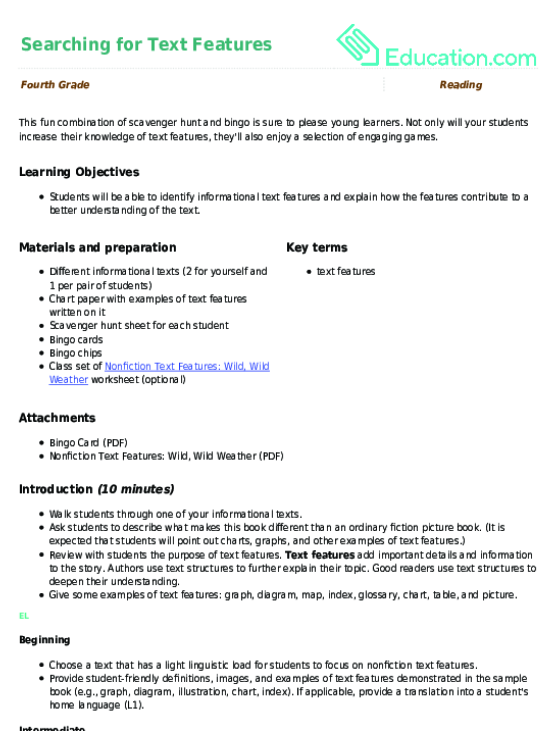 Use these vocabulary cards with the EL Support Lesson: Text Features and Their Purposes. This fun combination of scavenger hunt and bingo is sure to please young learners. Not only will your students increase their knowledge of text features, they'll also enjoy a selection of engaging games. Settlers began arriving to build homes for themselves in America in the early bits of the 17th century. 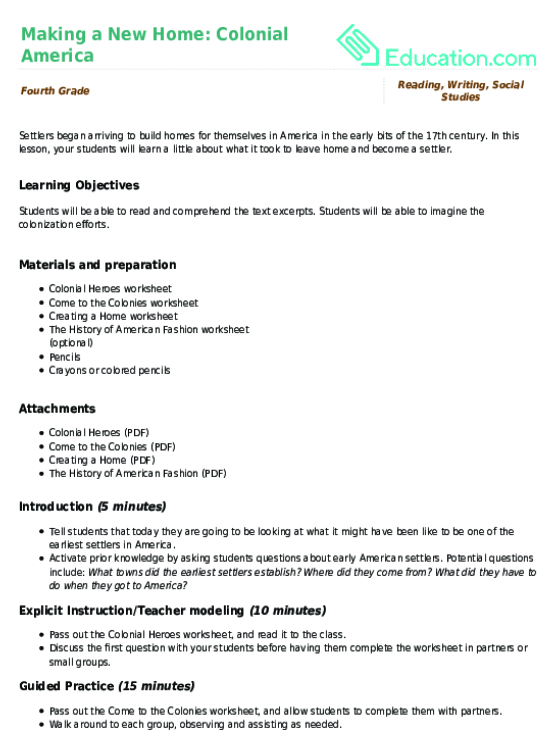 In this lesson, your students will learn a little about what it took to leave home and become a settler. Get your students excited about geography with a lesson on Earth's oceans. 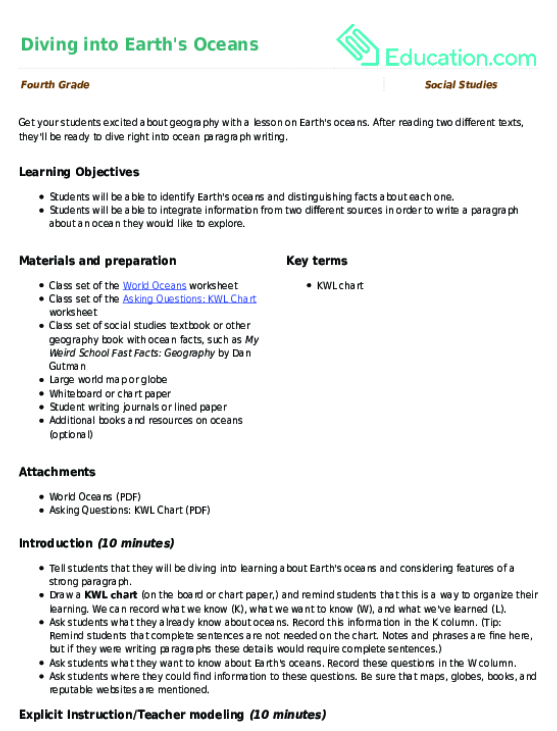 After reading two different texts, they'll be ready to dive right into ocean paragraph writing.